In love with this shift-dress from FashionMia - first of all it's synthetic fabric with bright reddish colours with cute prints (filled with hearts). Not a huge fan of pints especially hearts, but something about this shift-dress make me attracted right away. Prints are the best way to give a plain regular outfit a bit of change to liven up the moment. Here are some simple ways to team with causal prints in your daily outfits. 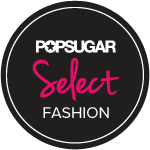 Use prints to balance out your figure: prints are definitely eye catching and you can use this to you benefit when styling prints to your outfits. For instance, if you want to elongate your legs, where printed pants or increase focus on your upper body then where printed tops/shirts to bring attention to your upper body. Team prints with block colours: In this case, kept it simple by pairing the whole outfit with all black clothing items and accessories but there other colours that would work well with prints as well. Use of Shading: try to find a particular colour that is common in the whole combination; so, pick a print and then pick out a shade that you can copy or use as the key colour for the whole outfit. And have fun with your choice of print: try to take risks and go out of your comfort zone. 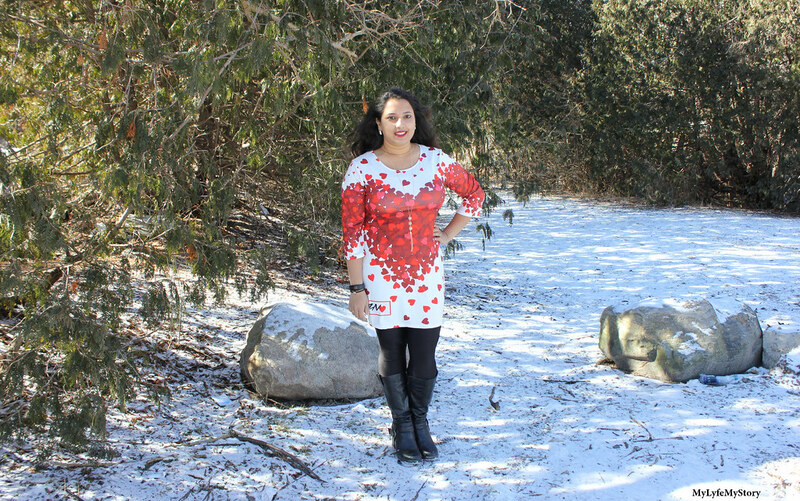 For instance, I am not a fan of heart prints and trust me; my friends were surprised to see me in this shift-dress. Very cute dress, happy Sunday dear! Loveky printed dress! I also love your boots! Hi... is a nice outfit! This dress with the heart prints is so amazing. I like prints on shirts but not on trousers. Your fotos are wonderful. These hearts are too cute. Lovely dress choice. 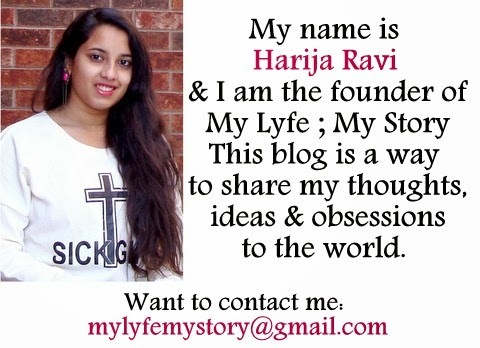 Beautiful blog, Harija! Thanks for coming. I follow you. i love the print dear..